Throughout this week, I’ve been blogging on the most climactic event in all of history: the Resurrection of Jesus from the dead. Is it true? Did the Bible get it right? Are there other plausible alternatives? Wading through Flannery O’Conner, myth-spinning fishermen, Homer’s Iliad, legendary body-snatchers, a crucified Judas, the Battle of Waterloo, and hallucinating ghost-whisperers, I’ve sought to convince you, before Holy Week, that the Resurrection is not just a good story, but a literal, historical reality. So here we are at the conclusion of this series. Assuming that I’ve done what I sought to do–namely to convince you that the Resurrection is real–then what does it actually mean? How does is affect my life? Above all, the Resurrection means that Jesus is God. There is no clearer proof of Jesus’ divinity than his permanent rising from the dead. Others have been risen in the past, like Jesus’ friend Lazarus, yet only to die again. Jesus’ Resurrection is unique, however. His is both permanent and complete. And it puts his divine power on full display. Since the Resurrection proves the divinity of Christ, it is also the answer to our deepest religious questions. For someone wondering how we can believe in God, the answer is, “Resurrection.” How can we believe that Jesus is the Way, the Truth, and the Life? Resurrection. How do we have such hope and joy, and how can we know there is a world beyond this one? Resurrection. The Resurrection also means that for God, anything is possible. If God can do something so miraculous, so surprising, so powerful as the Resurrection, then what can’t he do? This miracle proves that God transcends the laws of physics; he stands outside of time and space and all other constraints. Which means of course that being present in bread and wine is no big deal. Forgiving sins through confession, healing people through prayer and blessing, and righting our world’s most grievous injustices all seem more possible in light of the Resurrection. The Resurrection also means that we can have a relationship with Jesus, right here, right now. You can’t say the same thing about Confucious, Lao Tse, Buddha, or Mohammed, and none of their followers do. Each of those leaders is dead and you can’t have a relationship with a dead man. But if Jesus is living, then he still relates, still speaks, still listens, still moves, still engages this world. The Resurrection means that Jesus is not only knowable and lovable but that he too knows and loves. Ultimately, though, the Resurrection means that life and love are stronger than death. The Resurrection means that “cancer” is not the last word. It means that if you’ve lost a parent, a spouse, a child, or a friend, that not the end of the story. 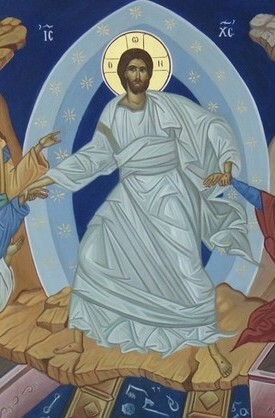 The Resurrection means that the sting of death has vanished, that the fear of dying is needless. 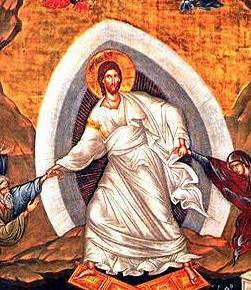 The Resurrection means that Spring always comes after Winter, and that every Friday is followed by a Sunday. The Resurrection means that love has prevailed over evil and that life has conquered death. In the early centuries, the first Christians greeted each other by proclaiming, “Jesus is risen!” And the other would respond, “He is risen indeed!” They didn’t say Jesus was risen, nor did they say Jesus will be risen. They exclaimed that he is risen right now. The Resurrection is not fundamentally something in the past, nor is it something we only look forward to in the future. 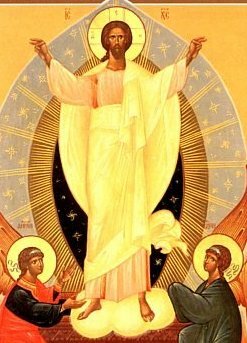 The Resurrection permeates the entire cosmos in this place, at this time. The Resurrection is God transforming, renewing, redeeming, and raising to life all that has ever died or been buried. The Resurrection is God injecting this whole world with new life. So may you join this great party, and may you find sure cause to celebrate. May you become convinced of the literal, historical, world-changing reality of the Resurrection–that it’s more than a mere symbol and more than an inspiring story. May you fall in love with an explosive, dynamic Jesus who is more than a good teacher, more than a wonder-worker, more than just a great example for mankind. And may you find deep joy, down at the level of your bones, knowing that the God you worship is not dead, that he has not spoken his last word, but that he is profoundly, emphatically alive.